Tasmanian disabled sailors Matt Bugg and Chris Symonds have won gold medals in a brilliant final day of competition at the 2018 Para World Sailing Championships on the USA Lake Michigan. Bugg, from Hobart, clinched victory in the Norlin 2.4mR single-handed keelboat class, his greatest win since his silver medal at the Rio Paralympics, including beating the Rio gold medallist from France. Symonds, from Wynyard and recently named Tasmanian Disabled Sailor of the Year, took out the men’s single-handed Hansa 303 dinghy class, following his silver medal in 2017. 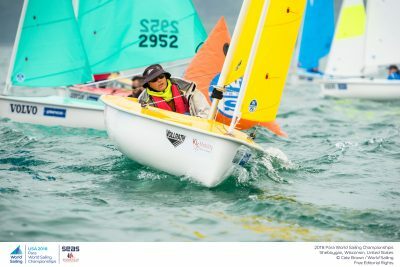 With West Australian Genevieve Wickham winning silver in the women’s Hansa 303 class, this was the best ever performance by Australia in the Para World Sailing Championships, sailed this year at Sheboygan, Wisconsin, USA. Going into yesterday’s finals just two points separated Damien Sequin (FRA), Matt Bugg (AUS) and Dee Smith (USA) in the 2.4mR class, meaning whoever finished ahead of the three would claim the world title. The trio were tight at the start, keeping within reach of each other, but Bugg, a member of the Royal Yacht Club of Tasmania and Derwent Sailing Squadron, managed to jump ahead and hold position to finish the medal race in third to seal gold. “It was a really tough, short race and really close,” Bugg said. “I managed to hold on to my lead and take the championship. “Five or six years ago I thought that winning a World championship was a possibility and it’s taken this long for me to get the job done,” he added. Sequin, the gold medallist at Rio finished second, Smith third. The top ten sailors in the men’s Hansa 303 sailed a semi-final to decide which four would advance to the final. 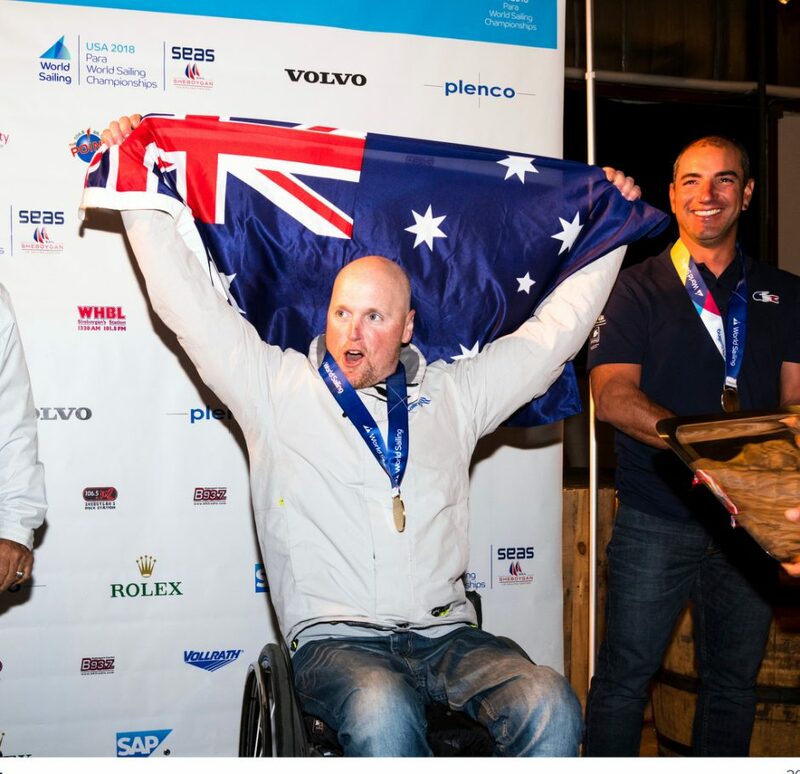 Matt Bugg wins gold at the 2018 Para Sailing World Championship, Sheboygan, Wisconsin, USA. 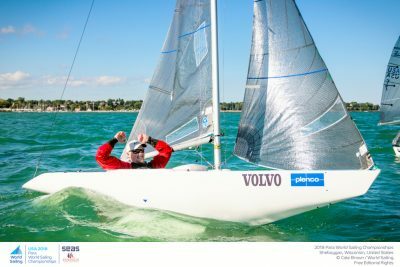 Hansa 303 gold medallist Chris Symonds, at the2018 Para Sailing World Championship, Sheboygan, Wisconsin, USA. Over 90 competitors from 39 nations in three classes — Hansa 303, 2.4m OD, and RS Venture — competing from 18 September to 22 September 2018. The host, Sail Sheboygan & SEAS, is located on the water of Lake Michigan, the fourth largest fresh water lake in the world. Wademar Wozniak (POL), Jens Kroker (GER) Piotr Cichocki (POL) and Christopher Symonds (AUS), the four standout competitors of the regatta, finished in the top four and progressed to the final. In a tense battle, there was no let-up as each sailor demonstrated winning attributes. Kroker took the lead early on but his three rivals remained close astern. Wozniak pulled level on the downwind leg but on the second upwind, the pack reshuffled. Symonds took the led after Wozniak was forced to make a penalty turn after a cross with Kroker. The Australian, from Wynyard Yacht Club in Tasmania’s north-west coast, went on to win the deciding race convincingly with Wozniak picking up silver and 201 World champion Cichocki the bronze. In the women’s Hansa 303 final Genevieve Wickham won a duel with her Spanish opponent to win the silver medal with gold going to Brazil’s Ana Paula Marques.